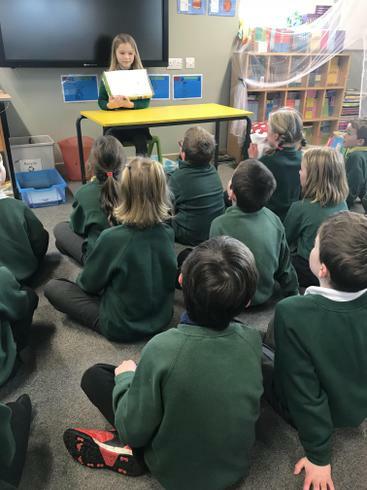 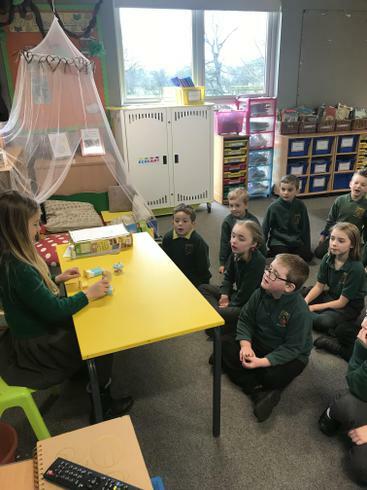 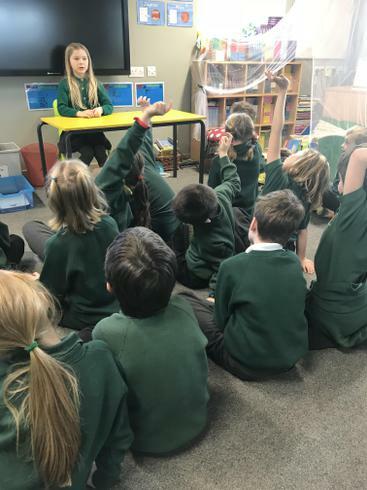 Today it was Hannah's turn to present her book in a box to the class; she chose one of her favourite books 'The Magic Faraway Tree' by Enid Blyton. 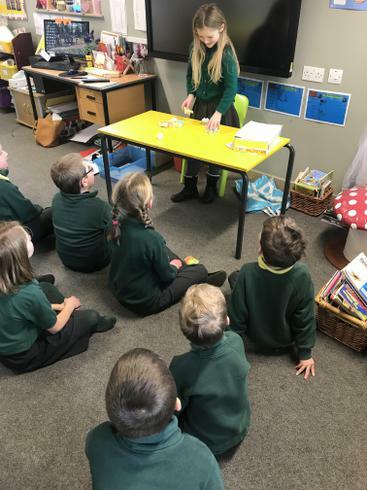 A fantastic choice of text; it was clear Hannah had a very good understanding of the book as she gave us a detailed plot description. 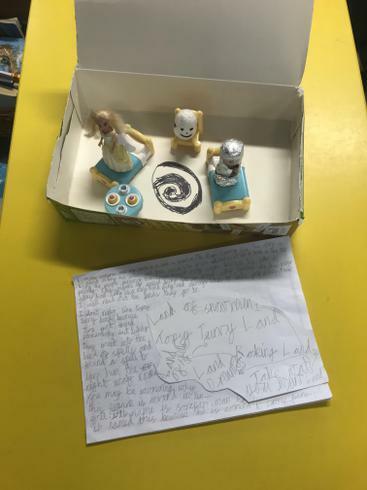 Hannah filled her box with characters to reenact a scene from the book; she had out a lot of thought and creativity into her characters by making her own Moonface with an egg and wrapping a figure in tin foil to represent Saucepan Man. 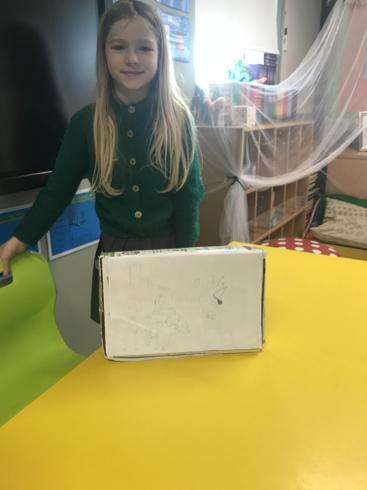 A fun and well-thought-out book in a box; the presentation was enjoyed by all - well done Hannah!